Samsung hit a rough patch in 2016 after the launch of the Galaxy Note 7. The Samsung Galaxy Note 7 battery was faulty, and thus, several owners worldwide found their phones exploding, risking their properties, their cars, and their own life. This caused the phone to eventually be permanently discontinued. The Galaxy Note 7 was then re-released as the Galaxy Note Fan Edition, a limited run of refurbished Galaxy Note 7 units which were essentially the same phone, but with a smaller battery that didn’t explode. The Galaxy Note FE was safe, and it has been supported by Samsung just like every one of their flagships, even receiving a timely update to Android Oreo. Now, it seems that One UI, Samsung’s latest software experience based on Android Pie, will also come to the Galaxy Note FE together with their newer flagships. The Galaxy Note FE, with model number SM-N935, has received Wi-Fi certification for a build running Android 9 Pie. Now, the device receiving this Wi-Fi certification does not necessarily mean that an Android Pie update will come to the Galaxy Note FE, but it is a necessary step for rolling out one, so it is definitely a possibility. 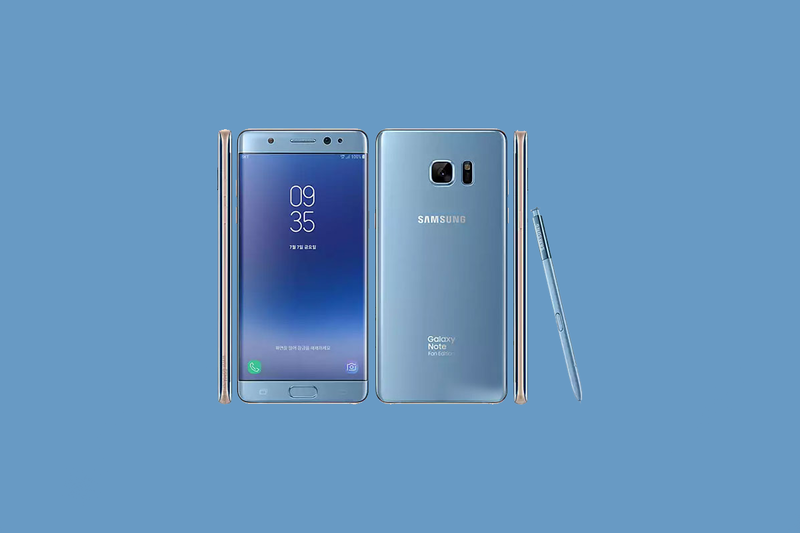 While the Samsung Galaxy Note 7 first launched with Android 6.0 Marshmallow, the refurbished Galaxy Note FE was launched with Android 7.1 Nougat out of the box and has since received an update to Android 8.0 Oreo. Thus, following the general “2 major platform updates” rule for most flagships, it is highly likely the Galaxy Note FE will receive Android Pie. Unfortunately, the Samsung Galaxy S7 and Galaxy S7 edge, which are about to reach end-of-life, are not expected to receive the Android Pie update. However, an Android Pie update for the Galaxy Note FE would make porting One UI to the Exynos 8890 Galaxy S7 series a lot easier, so you can at least look forward to that on our forums. One UI is set to roll out to the Samsung Galaxy S9, Galaxy S9+, and Galaxy Note 9 as well as last year’s Galaxy S8, Galaxy S8+ and Galaxy Note 8. While the Galaxy Note FE is just a rebranded Galaxy Note 7, it was actually launched in 2017, so we would expect it to receive the latest update.